If you have any problems with getting high rankings or if you lost them after the Penguin update, make sure to carefully read this article and follow all advice given to get in the Top 10 on Google. We have analyzed hundreds of our clients' websites and their SEO strategies of achieving #1 on Google for the past 6 months and noticed that some of our clients have great results... whereas others don't. So we aimed at revealing the most important reasons WHY some people cannot succeed to get ranked in Google Top 10 and what you need to do to successfully achieve that goal. Note: it's vital to follow each of the following below 7 steps. Ignoring even just one of them may result in failure to be ranked Top 10 on Google. Choose keywords for your link building campaign which can bring traffic, but which are not too competitive and you can afford. Learn how to select the best keywords for your link building campaign. 2. Get high quality text backlinks from relevant websites. The quality of backlinks is much more important than quantity. There are numerous of cases when lower number of backlinks yields much higher ranking boost on Google than higher number of links with lower quality. And after the Google Penguin update, quality became even more important than quantity. 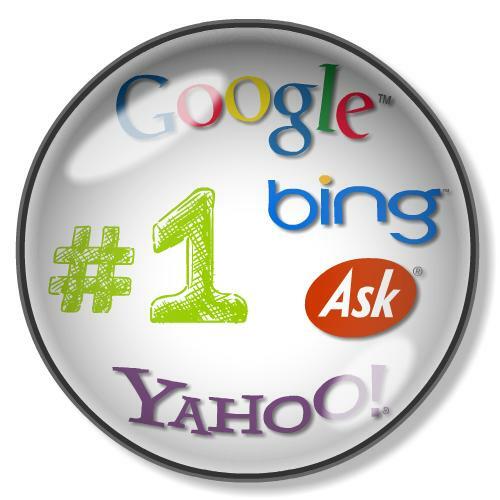 So focus on high quality, text backlinks, coming from relevant webpages with PR1 and higher PR. Please note that PageRank has become not as important as it was before. Relevancy is now far, far more important than PR. Even PR1 link from relevant webpage can improve your site rankings much better than PR7 link from an irrelevant website. Moreover, unrelated backlinks can even lower your site rankings. So focus on getting only relevant backlinks to your website. If you already have unrelated backlinks going to your site, you'd better remove them and acquire relevant links instead. 3. Get backlinks with different anchor texts. We have noticed that one of the most common (and extremely harmful) SEO mistakes many people make is ignoring this rule. Our own analysis, as well as SEOmoz's research has shown that people who follow the anchor text distribution formula (shown below) have successfully got in the Top 10 on Google and were progressing in the SERPs even after the Penguin update. Others who ignored this rule failed to get high rankings. Google is constantly working on improving its algorithms and in the end of March 2012, Google launched the critical Penguin update. After this update a great number of websites throughout the entire Internet lost their rankings. The most important reason why rankings have dropped after this update was unnatural keyword (anchor text) distribution in the backlinks. SEOMoz has conducted deep research trying to find out what was the most natural "keyword distribution formula" that SEOs must follow to have high rankings on Google. They took websites with high and low rankings on Google and compared their anchor text distribution. Check out the SEOmoz case study which proves this graph is not just real, but is vital to keep in mind. For example: if your domain name is www.bwidgets.com and your main targeted keyword for which you want to rank #1 on Google is blue widgets, then only 18% of your backlinks should have the exact keyword match (i.e. blue widgets), 17% of your anchors should include your exact keyword (for example, buy best blue widgets, blue widgets online, etc), 31% of your backlinks should go as your brand name (bwidgets), 18% of your anchors should go as your website URL (www.bwidgets.com) and the rest 16% of your anchor texts should include such keywords as click here, see details, learn more, etc. We understand how psychologically difficult it may be for you to start getting backlinks for such keywords as "click here" or even just for a brand name of your business or domain name of your website, and that's why we encourage you to read this SEOmoz case study which proves that this is not a "may follow," but is a "MUST FOLLOW" SEO rule to get high rankings on Google. If your current anchor text distribution doesn't coincide with the aforementioned, but there are not too many such links, so don't even bother removing them - just build new links with those anchors you don't currently have enough. This way, when new links are built, your new anchor text distribution becomes natural. 4. Get backlinks from pages with various PR. There was a lot of discussion about the naturalness of the link building campaigns. And much more will be said. In this view, the diversity of PR of your links comes to the foreground. You should understand that only high PR or low PR links in your backlink profile seem suspicious to Google. That's why your backlinks have to come from web pages with different PR. Moreover, most of your links should come from PR0 and PR1 pages to look natural for Google. Only around 5% of your links should come from high PR pages with PR4 and higher. If your current backlink profile doesn't correspond to this recommendation, don't remove existing links - it's better to just build new ones with those PageRanks you don't have enough of for your link profile to start looking natural to Google. Don't buy a lot of links the same day - especially if they have high PR! You should get backlinks for your website in a way that looks natural to Google, i.e. how people on the Internet would most likely link to your website. Start by purchasing 3 relevant backlinks a week with just PR1-PR2. Buy more links with PR1 and less with PR2. Buy such links during the first 3-4 weeks. Only then add a few PR3 backlinks to your backlink profile. And they also must be relevant to your website. Continue getting 3-5 PR1-PR2 and a few PR3 links a week during 1 more month. After only 2 months after your link building campaign initiation it will be safe to acquire a few PR4 backlinks. In 1 more month it will be safe to get several PR5 or PR6 backlinks. And in just 1 more month it will be safe to get 1 or 2 PR7 or higher PR links. It is not safe to buy high PR links (PR4 and higher) if your website has low number of PR1-PR3 backlinks in its backlink profile. That's why at first you should always buy/build low PR links; only after that should you acquire high PR links. Learn more about natural PR distribution here. And remember, you should try to get high PR links with PR4 and higher ONLY if they are relevant to your business. Getting PR4+ backlinks is not a MUST for getting high rankings on Google, whereas getting relevant backlinks is. If you cannot get relevant high PR links to your website, it's not a problem at all; focus on getting low PR, but relevant links. In fact, it is much easier (and cheaper) to get in the Top 10 by acquiring only PR1-PR3 backlinks that come from relevant pages when compared with acquiring PR4-PR6 backlinks coming from unrelated webpages. After the Google Penguin update you can actually forget about the PR of the page and just focus on getting relevant PR1-PR3 backlinks. Following such a strategy will make your link building campaign look more natural to Google and bring you to the 1st page of Google sooner than if you were purchasing PR4-PR6 backlinks; this is because it takes longer for high PR links to pass their PR Weight to your website. You should know that NOT all link juice (PR Weight) is passed to your website at once after the link is built. In fact, for most links it will take up to 6 months for the PR Weight to be passed to your website for 100%. Learn more about PR Weight Flow. Google has developed its algorithms so that it is now using psychological pressure - when you get new backlinks, at first your rankings drop down, and only with some time they come back and get higher than they were before. Our clients as well as experts at SEOmoz noticed this too. Google actually says about this in their own patent 8,244,722. So when your rankings start to dance (drop down, improve, again drop down and again improve, etc), it means that everything is going fine. Just stick to your natural link building plan and with some time your situation will become more stable for old keywords (for which you've got many old backlinks). You cannot (at least should NOT) buy all backlinks that you need to outrank your competition within just 1 day or even 1 month. In order to look natural, your link building campaign should be gradual and you should buy new links gradually, on a weekly basis. Remember that your competition may be doing some activities as well. So once again, be patient. 7. Get rid of all the duplicated content. It is not just advice. It's a sharp necessity! After the Panda 3.6 update having been launched by Google there is no way for the sites with duplicated content to be in Google Top 10. So, pay attention to the quality of your site content because the importance of this factor grows up from day to day. There are numerous content duplicate checker tools, which may help you find and get rid of all the duplicate content. Nowadays,more seo techniques are available to increase page rank and most of the domain providers like Tucktail.com offers Search engine visibility service to the domain registrants.